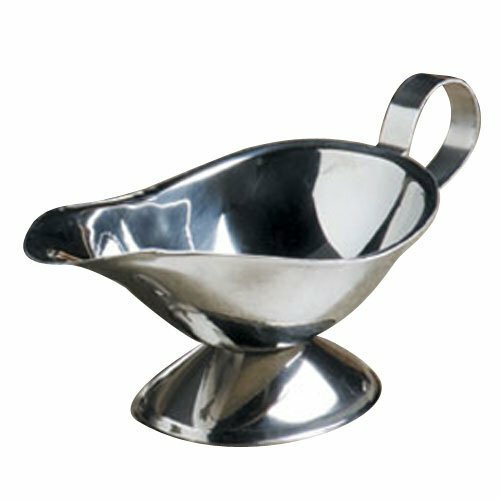 This gravy boat is ideal for both restaurant and home use. Made of stainless steel material. With its simple design this is perfect for serving warm gravy, salad dressings or any variety of sauce at the kitchen or dining room tables. Features clean and classic look that works well for a wide variety of restaurant environments and table settings. Comes with 16-ounce capacity.